By Anil Sindhwani / Jan. 22, 2016, 7:16 p.m. 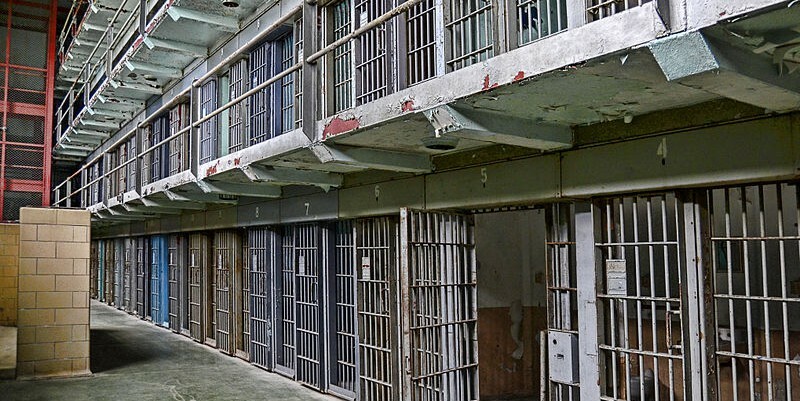 The following is the second of a two part series from this author on the state of prisons in America. The first installment can be found here. On May 1, 2010, activists held protests across the nation — not to protest for worker rights, as May Day is often for, but rather to protest the passage of a new Arizona immigration bill, officially known as the Support Our Law Enforcement and Safe Neighborhoods Act but commonly known as Arizona SB 1070. SB 1070’s most contentious provisions include a requirement for people to carry their proof of citizenship or legal entry, and requires police to investigate the reasonable suspicion that a person has entered the United States illegally. SB 1070’s opponents considered it so stringently anti-immigrant that it could be used an institutional tool for racism, among other harmful aspects. Its supporters see it as an impressive clamp down on illegals that will mitigate their negative impact while upholding the freedoms of Arizonans. The debate over SB 1070, of course, was a window into the greater immigration debate unfolding on the national stage — yet the story of the law’s generation is far more telling of our current political landscape than the law itself. SB 1070 was drafted at a meeting of the American Legislative Exchange Council (ALEC), a powerful conservative organization that drafts model legislation for states. While this practice is common, SB 1070’s original draft meeting occurred in the presence of several officials of Corrections Corporation of America (CCA). That itself is not necessarily suspicious; however, the main suspicion lies in a combination of many facts. First, the bill had thirty-six co-sponsors — which is already an unusually high number for state legislatures — that were found to have either gone to that ALEC meeting or were members. Second, thirty of those thirty-six co-sponsors were also found to have received large donations from either the Corrections Corporation of America, CCA, its competitor the GEO Group, or private prison lobbies. It is this latter fact that might imply a significant impact from the private prison lobby. However, other states have begun the process of copying SB 1070, including South Carolina, Pennsylvania, Minnesota, Rhode Island, Michigan, and Illinois. Furthermore, the Tennessee and Michigan state legislatures have introduced resolutions in support of SB 1070. What’s the motive for the CCA? The short answer is profit. The greater number of illegals in public jails correlates well with the number in private prisons: after all, nearly half of all detained illegal immigrants are held in a private prison. This situation created profits in the billions for these companies. Yet, SB 1070 is just one example in a long line of for-profit prison firms lobbying, successfully, for greater incarceration rates. First, these firms do so through campaign expenditures and lobbying, in a near-naked attempt to incarcerate more Americans through the passage of harsher legislation. The pure numerical representation is already telling: in all, since 1989, CCA and GEO Group have donated $10 million to candidates and have spent $25 million in lobbying. These companies have developed an effective strategy of pushing for private-prison-friendly legislation. Over the past five election cycles, campaign contributions to state officials have been at just over $6.3 million a cycle. Moreover, these companies focus on supporting incumbents, regardless of political affiliation or party, with a focus on early and late contributions to campaigns in an attempt to not only build a positive atmosphere for themselves, but also to reinforce their connection with eventual policymakers. In terms of lobbying, though there is less data, the results are still telling. State lobbying figures are hard to come by, due to individual state laws, but federal spending has been massive: according to the Center for Responsible Politics, the three largest companies have spent $2 million on lobbying in 2014 alone — and individuals from the companies have also given over half a million. In all, the profit gained by private prisons is very high: firms need only pay, at a maximum, a million for lobbying and almost certainly they will gain in the billions. Another example is that private prison contracts are crafted in such a way to allow companies to exert undue influence over states. One of the main methods of developing influence is through the use of “bed guarantees,” which require prisons to be kept at a certain occupancy rate, regardless of the crime rate of the state. The effects of not meeting rates are disastrous, as states must compensate any and all lost revenue at the per day rate, which usually adds up to millions of dollars. Moreover, the vast majority of these guarantees range from 80 percent to 100 percent, with an average of 90 percent, meaning that localities must face two equally damaging choices: either they must continue to arrest citizens, regardless of the crime rate, or they must pay millions to firms for increasing the safety of their environment, in addition to the costs of crime prevention. Although seemingly outrageous, these contracts are in reality widespread. Of the contracts reviewed, 65 percent had these guarantees. Faced with the possibility of ballooning already-more-often-than-not exploding budgets, states with a bed guarantee contract may well choose the easier option: higher incarceration. States, thus, are faced with a doubling of costs — they must not only pay for maintaining a high incarceration rate, through greater expenses in enforcement, but also must pay private prison firms if they fail to meet these targets. In essence, CCA, GEO Group, and other private prison operators have created a system in which the state must respond to the needs of these companies, rather than the needs and desires of its people. Of course, in terms of lobbying, what these firms are doing is not unique. What is unique, however, is the troubling reality that these firms create. Given their very business model, these firms require high rates of incarceration. Thus, their lobbying efforts give them immense power over prison reform and laws, setting a dangerous dynamic. The image featured in this article was taken by Bob Jagendorf. The original image can be found here.